Today the second official trailer dropped for Disney’s live action remake of Aladdin. 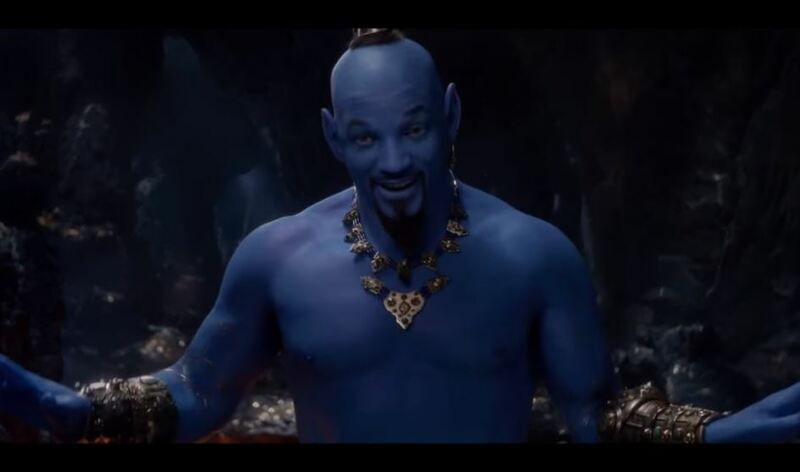 We get to see finally what Will Smith will look like as a blue genie in CGI. Earlier we got to see how he would look without the blue treatment when Entertainment Weekly released a photo of the Genie, Jasmine and Aladdin. That was back when people were still up in arms about what they would do to the iconic Robin Williams cartoon character. How could anyone follow up Williams and portray the Genie ever again? 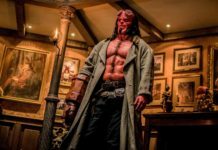 It is still to be seen what exactly Smith will do with the character but from the look of the trailer I have high hopes that he lives up to the hype. What do you think of his blue genie look? Tell us in the comments!